A team of Japanese scientists led by Masahiro Kayama of Tohoku University's Frontier Research Institute for Interdisciplinary Sciences, has discovered a mineral known as moganite in a lunar meteorite found in a hot desert in northwest Africa. "Moganite is a crystal of silicon dioxide and is similar to quartz. It forms on Earth as a precipitate when alkaline water including SiO2 is evaporated under high pressure conditions," says Kayama. "The existence of moganite strongly implies that there is water activity on the Moon." Moganite was found in only one of those 13 samples, confirming the team's theory that it could not have formed in the African desert. "If terrestrial weathering had produced moganite in the lunar meteorite, there should be moganite present in all the samples that fell to Earth around the same time. But this was not the case," says Kayama. 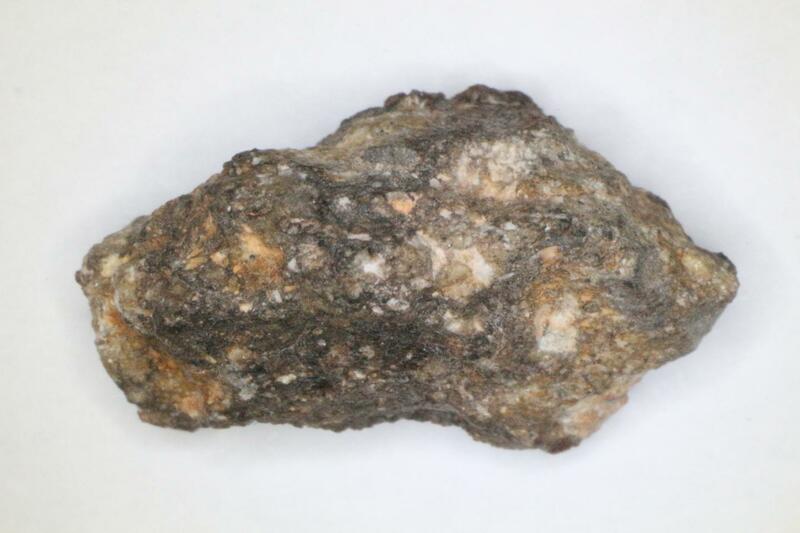 This is the first time that moganite has been detected in lunar rocks. The researchers say the meteorites probably came from an area of the Moon called Procellarum Terrane, and that the moganite was formed through the process of water evaporation in strong sunlight. Kayama's working theory is that deeper under the lunar surface, protected from the sun, crystals of water ice could be abundant. Kayama's team estimates that the accumulation of water in the lunar soil is about 0.6 weight percent. If they are right, future lunar explorers would have easier access to the resource, which would greatly enhance the chances of the Moon hosting human settlement and infrastructure, and supporting a variety of industries within the next few decades. In addition to testing for water in other silica minerals found, Kayama and his team also plan to study water from solar wind to the regolith soils and volcanic eruptions from the lunar mantle. "Solar wind-induced water can give us new insight into the history of sun activity, and volcanic water provides us with information of lunar evolution together with water," says Kayama, about his lab's next project. "It's all very exciting."